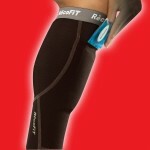 I came upon a new (at least to me) compression company at this past year’s Running Event in Austin called RecoFit. I’m always curious about new and different types of compression gear so I stopped by their booth to check things out. The thing that caught my attention was a big sign showing a pair of calf sleeves that come with ice packs to slide into a pocket over the shins post-run. I am not one who ever has shin splint pains but my anterior tibialis muscles do get sore from time to time, and this seemed like a nice way to help them. They also had some arm sleeves I was interested in testing so I grabbed them up and got to work. My first impression of RecoFit, beyond the big sign with calf sleeves, was a very pleasant surprise, and that is the owner, Susan Walton. Susan was very inviting, and I found myself wanting to stay at the booth and talk even though I was very busy during the show. She is a very energetic and excited person who genuinely wants to help people enjoy exercise activities as much as she does. Susan’s vibrant personality had me believing in RecoFit before I ever tried the products she gave me to test out. The good news is the products are as good as she said they were and have become my go-to gear for racing. I tend to train without the aid of things like compression gear because I prefer to treat them like race day performance enhancers and let the training be as natural as possible. My thoughts on these products comes from that mindset but having gotten to wear them on a lot of training runs to avoid the cold this winter I got more of a feel for them than I would during the summer months. First up are the calf sleeves that brought me to the booth. They are called Shin Splint Therapy Compression Sleeves on the website and packaging. There’s a bit of debate about how much things like compression clothing work, and that can be a fun debate, but I’m on the believer side. The debate is so broad that even among those who do believe in the benefits you will find a line drawn over the idea that the sleeves should just be tight or whether they should be woven or patched together in a way that mimics the shape of the muscles. I’m in the camp that believes the material should in some way be shaped to the muscles if it’s going to offer actual support through the motion. This is something that the RecoFit sleeves do really well. They go as far as to use separate pieces of material for the belly of the calf, front of the shin, and the lower calf area just above the ankle. All of these pieces together offer a gradient compression that has a great fit. The material is light, smooth, and has a great feel against the skin that offers a lot of support without making you feel like they’re cutting off your circulation. They also use a carbon based fabric which some studies say has helpful and healing properties which is always a good thing in performance gear. Another positive is that they are side-specific, and it’s very obvious which way they are supposed to be worn, which is very convenient since I’ve seen some brands make this a little confusing. I have worn the sleeves in both freezing and warm temperatures and felt comfortable. The material is thin so while standing still the sleeves pretty much let the temperature win. If it’s cold you’ll be warmer with them than without, but they aren’t going to feel like leg warmers. Once you get going they do a great job of allowing your body heat to pass into and through the material so you’re never really feeling too hot or cold, which is great, and after the run the sleeves dry exceptionally fast so you’re not going to sit there in wet sleeves that will make you colder or hotter depending on the day. I’ve used the ice packs on the shins after runs that were hot and cold, and where I had sore shins and no shin pain just to see how it felt. Obviously if it was cold outside the ice pack doesn’t make you feel all warm and cozy but that’s just kind of how it goes with ice so it’s not like I was expecting to feel anything but cold. On hotter days they feel awesome as they cool the skin down. On the days I had shin soreness they felt nice and seemed to help the recovery time a bit, which I like. Overall these sleeves have become my favorites. The fit and feel is just better than anything I’ve tried so far. The weight seems just right as does the level of compression. 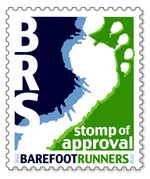 Add that to the ability to ice the shin and help with treating/avoiding shin splints makes these a winner. Next up are the cooling arm sleeves, or Arm Coolers. I had been on a mission that weekend to find a mid to light weight arm warmer/sleeve. I had some already, but they were really heavy and more sleeve than I needed for most cold days I face in Texas. These obviously are not warmers, but I had seen a couple of brands displaying these arm sleeves that can cool the arms, and I was curious how they would work in colder weather. Yes it might seem crazy to think a cooling arm sleeve would be good for cold weather, but go with me on this for a bit. My theory was simple. I typically wind up either pulling arm sleeves off or pushing the sleeves of my shirt up at some point during a run whether it’s 40 or 10 degrees outside. For some reason my arms get really hot when I run, and I tend to only want sleeves for the early part of a run. My thought was that a cooling sleeve would give me a bit of skin cover which might at least keep the cold air off my arms at the start of a run and then as my arms heated up they might not get too hot to keep wearing the sleeves because they’re designed to keep you cool. As excited as I was to try these sleeves out, I was more excited that they fit. I don’t have your typical runner shape. I spent a lot of years not running due to a knee injury, and during that time I decided to try being a meathead. I’ve lost most of that muscle now that I’m back to running, but some things, like my arms, are still fairly large so most sleeves I’ve found just aren’t cut for arms shaped like mine. They tend to be too tight at the top of my bicep and cut off my circulation, but thankfully these did not and in fact they fit great. The size I have to wear for my upper arm does leave them slightly loose around my wrists but I don’t mind because it offers me the opportunity to easily slide the sleeve up a bit if I do get too warm. 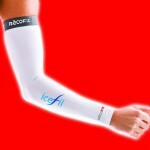 The sleeves use an IceFil tech fabric with Xylitol (a cooling agent) that dissipates heat and moisture very well. 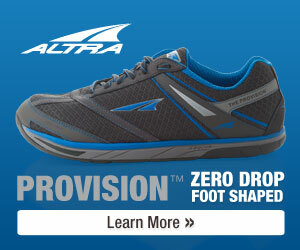 The material is light, soft, and feels great against the skin to the point where you can forget you’re wearing them. While I wanted these for running they are really geared more towards the cyclist than the runner since the wind passing by a rider’s arms will cause the IceFil to cool more than a runner’s swinging arms. The material is obviously not meant to keep you warm so the early parts of a cold run aren’t the most pleasant especially if it’s windy. They are still a layer of clothing and if you’re not out there waving your arms around they do offer a small amount of warming opportunity by keeping the elements off the skin. The greatest part about these sleeves for me was how they keep my arms mostly cool on a run, and if my arms do start to get hot it’s really easy to cool them off again. When my arms start to get warmer than I like I just let my arms hang like I’m shaking out tightness and wave them around a bit. The wind passing through the material instantly cools my arms off, and I’m good to go. It’s awesome and I love the feeling. Final result is these sleeves are a big winner for me since I can wear them for any season. I have become a huge fan of RecoFit products and am so very glad I found them. They also offer a standard calf sleeve without the ice packs along with a full leg recovery sleeve that I hope to test someday. At this point RecoFit is a bit of a smaller brand paving its way in what is becoming a crowded market, but I think they’ll soon be at the top of the heap.